Win tickets for the Raith Supporters Trust Burns Night! In honour of the superb Scottish Cup win over Dunfermline last weekend, The Raith Supporters Trust are giving away three pairs of tickets for this weekend’s Burns Night event in the Raith Suite. Rover’s hat trick hero, Lewis Vaughan has scored how many goals for Raith Rovers? Email your answer to steven_wallace@btinternet.com by 5pm on Wednesday 23rd January, along with your name and contact details, and we will draw out three lucky winners and notify the winners on Thursday. This is the Raith Supporters Trust’s 5th annual Burns’ Night event, this weekend, Saturday 26th January. John McGlynn and Paul Smith have already pledged their support and will be joining us on the night as well as some other special guests and surprises on the night. Guests will be treated to a traditional 2 course Burns Supper with a wee dram or two to toast not only Rabbie Burns, but also to a fine win over Dunfermline. Not only will the Raith Suite bar be open but we will also be offering an exciting range of Scottish craft beers and ciders to enjoy on the evening. There will be Burns readings, bagpipes, the Big Burns Raffle and auction and more. 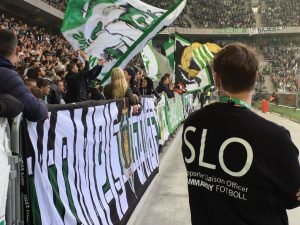 In 2012, UEFA introduced a requirement for all clubs competing in their competitions to appoint a Supporter Liaison Officer (SLO) to act as their key contact point for supporters, and in 2017 this also became a Scottish FA requirement for clubs seeking to obtain a “silver” or “gold” licence. Club licensing sets out standards and procedures by which clubs will be assessed as a basis for continuous improvement of many aspects of football – ground safety, pitch size and surface type, floodlight quality, facilities for supporters, provision for disabled supporters, media facilities, first aid and medical provision, coaching standards, ground tenure, financial management processes, and so on – the list is almost endless! Raith Rovers currently hold a “bronze” licence, and aspire to hold “silver” or even higher – at present, only three Scottish clubs (Celtic, Hibs and St Mirren) hold the highest level of licence. We have kept the membership fee at the same level since 2007, so if possible we would encourage you to consider adding a monthly donation to your membership. Many members already do so and this extra income allows us to do increase our investment and funding in the Football Club. To do this simply contact your bank to amend your Standing Order, or click here to make a one-off payment. We hear from the club that season ticket sales have been very encouraging so far, but that the total sold is still down on last season. With pre-season friendlies starting tonight the new season is almost upon us, so time is running out to purchase your ticket for the coming season. Every pound that the club brings in over the summer helps us put the best possible team on the park. If you’ve been meaning to renew but haven’t done so yet, please get in touch with the club! Voting for the position of Supporter-Director closed at 10pm on Friday 1st June 2018, and the results have been counted and verified. The election was contested by four candidates, and carried out using the Single Transferable Vote method where one candidate is eliminated in each round, and their votes distributed to other candidates on the basis of voters’ second, third and fourth preferences. Andy Mill is therefore elected, with 55.9% of the votes in the final round of voting. He will therefore be appointed to the board of New Raith Rovers Ltd and (with the consent of the directors) Raith Rovers Football Club Ltd & Raith Rovers FC Holdings Ltd. Nominations for the position of Supporter-Director have now closed. Further info on the candidates can be viewed below. The successful candidate will be appointed to the board of New Raith Rovers Ltd and (with the consent of the directors) Raith Rovers Football Club Ltd & Raith Rovers FC Holdings Ltd. The position exists because of the ongoing collective investment that fans make through their supporters’ organisations. Voting opens today and closes at 10pm on Friday 1st June 2018. 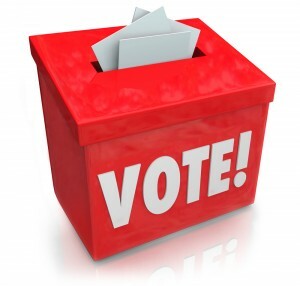 To vote in this election, voters must be current adult members of any of the Raith Forum groups (Jim McMillan Club, 200 Club, Supporters Club, Rovers Down South and Raith Supporters Trust) OR an adult Raith Rovers FC season ticket holder. The election will be by Single Transferable Vote where each candidate is ranked from 1 to 4. This will allow people to express their full preference of the candidates. Voters will be able to cast their vote online; emailed instructions on how to do this will be sent out to all eligible individuals in the next 48 hours. Those individuals who have not submitted an email address to any of the Forum groups (or Raith Rovers FC for season ticket holders) will receive a postal ballot form in the post in the next 3-5 working days. There will be an election hustings event on the evening of Monday 28th May, at 7.30pm in the Raith Suite at Starks Park, where voters will get a chance to hear the candidates speak, as well as an opportunity to put any question to the candidates. The nomination process for the Supporter-Director role at Raith Rovers FC is now open. The current Supporter-Director’s term of office has come to an end, Gordon Adamson is not standing for re-election but will stay in the role until a successor is appointed. Nominations are sought from Rovers supporters interested in fulfilling the role. To carry out this role, candidates must be current adult members of any of the Raith Forum groups (Jim McMillan Club, 200 Club, Supporters Club, Rovers Down South and Raith Supporters Trust) OR a Raith Rovers FC season ticket holder. 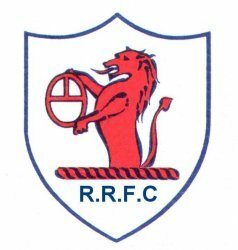 Nominations, seconded by two members of Raith Forum organisations (Jim McMillan Club, 200 Club, Supporters Club, Rovers Down South and Raith Supporters Trust) or by two Raith Rovers FC season ticket holders, should be received no later than Friday 11th May 2018. In the event of more than one nomination being received an election will take place between Monday 14th May and Friday 1st June 2018. Bid Now To Win Jason Dair’s Club Blazer! Cup-winning club legend Jason Dair has made an incredible contribution to the Raith Supporters Trust’s Burns Night, which will be held this Saturday night at the Dean Park Hotel in Kirkcaldy. He has donated his club blazer and tie, which was worn to the big games in his time with the club, including the Coca Cola Cup triumph and the UEFA Cup campaign which followed it. This is a really special item for which we are immensely grateful to Jason. 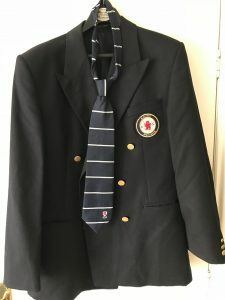 The blazer and tie will be auctioned off at the night, but we would also like to make it possible for those who cannot make it in person to bid. Bids should be sent to chairman@raithtrust.org.uk by 7pm on Saturday night, the winning bid will be revealed then and will be subject to other bids from the room on the night. Tickets are still available for the Burns Night at raithburns.brownpapertickets.com for £25 per person – Trust members can receive a £5 discount by using the offer code RABBIEMUNRO. The Raith Trust are making it even easier for fans to buy tickets for the upcoming Burns Night. Fans attending the home game against Ayr on Saturday can now make card payments at the trust table. The new facility takes all major credit and debit cards such as Visa, Mastercard and American Express as well as contactless payments including Apple Pay or Android Pay. As well as the Burns Night tickets, you can also use the facility to pay membership fees or donations making it easier than ever to support the trust.